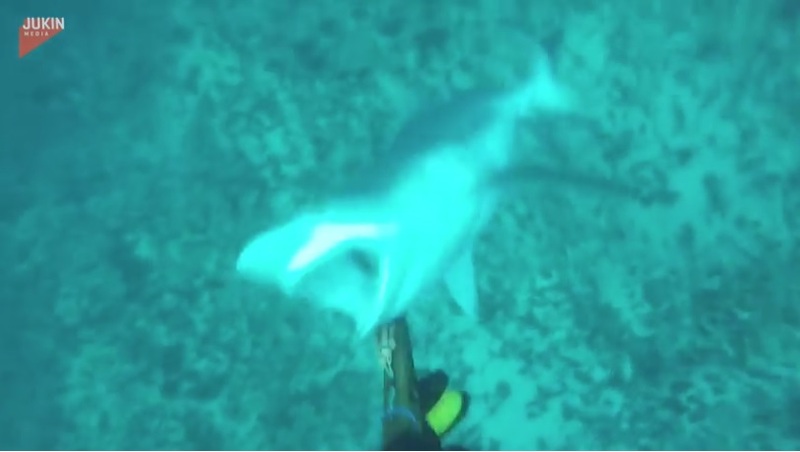 While spear-fishing a diver noticed a shark that seemed a bit too curious, so he attempts to forcefully discourage the shark. The conventional method of forcefully pushing the shark away didn’t work this time. This time the shark got angered, turned around and attacked the diver. The shark attacked the diver ripping out a chunk of his wetsuit. Fortunately for the diver, he didn’t sustain any injuries, but it was certainly a close call. The shark didnt follow through with the attack and eventually scurried off….Perhaps the shark didn’t like neoprene? Whatever, but it certainly was a close call. Watch how this scenario played out in the video below.